Operating a food truck as a business is a popular way to break into the food service industry. A food truck can be used as a stepping-stone in your quest to open a traditional restaurant. It allows you to build up a clientele by being mobile and making your offerings available to potential customers in various locations. 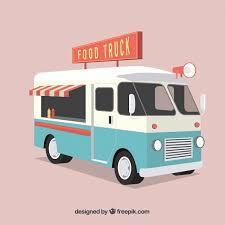 A food truck can also be used to supplement your brick-and-mortar restaurant and expand your customer base by introducing your products to people who may not have had a chance to visit your establishment. You will, of course, need to purchase or lease a food truck. There are many new and used food trucks for sale that are available in different configurations designed to suit the type of food that you will be offering to the public. Some planning into the type of truck you want needs to be done before you are ready to make your purchase. If you are hitting a wall with your truck, you can work with truck builders to make the perfect food truck. Even after you have decided on the type of truck you will buy and what type of products you will offer you cannot just load up your truck and start selling. There are some details that you need to take care of in order to be compliant with the local legal and health requirements of your particular location. These can vary based on the jurisdiction in which you plan to operate, but you will certainly need to have your truck pass a health inspection before you can begin serving customers. Let’s take a look at some of the main requirements that you will need to comply with in order to legally operate your food truck. Safety – A safe location is desirable for you and your employees’ protection. Parking – You may be able to park your truck overnight which saves wear and tear on your vehicle. Amenities – Food supplies, ice, dishwashers, freezers, and waste disposal are things to look for in your commissary. Space – Check out the commissary at the time you will be using it and ensure that there is enough room available to fulfill your needs. Tax registration – In most cases, a food truck operator needs an Employer Identification Number (EIN). State-specific regulations regarding taxes need to be investigated as per your location. Business Licenses – You will need to secure a general business license in order to begin operations. State, city, and county regulations also need to be considered. They will cover areas such as verifying your commissary, ensuring that proper food handling practices are observed, and bathroom locations. You will also need to obtain parking permits and have your truck inspected to comply with food safety regulations. Local Permits – Your city or county may have additional local permits that you need to acquire in order to operate legally. Local health, business, and zoning permits are just some of the more common local regulations that you will have to comply with if you want to stay on the right side of the law. There may be parking restrictions that vary from location to location if you move your truck around, so be sure to check carefully. Fines can quickly eat away at your profits and repeat offenses can have you banished from a particular prime spot. Incorporation – You probably want to incorporate and register your business as a legal entity. The alternative, to operate it as a sole proprietorship, can leave all of your personal assets vulnerable to lawsuits related to work injuries or accidents. Commercial plates and driver’s license – You will need commercial plates on your food truck. If your truck weighs over 26,000 pounds, anyone who may be driving the truck will need to have a commercial driver’s license. Vehicle insurance – Your truck needs to be insured in the same manner as any other vehicle. Don’t get caught operating your truck without the proper insurance coverage. General liability insurance – You need this to protect yourself in case a customer is injured while using your facilities. Unemployment insurance – State unemployment insurance to cover terminated or laid off employees is required. Workers’ compensation insurance – State requirements may vary, but you need to cover your employees in the eventuality that they get injured on the job. Verify documentation – Each employee will need to complete a W-4 for tax reporting purposes and an I-9 that documents the individual’s ability to work legally in the U.S. Workplace posters – You need to place posters that inform your workers of their rights regarding minimum wages and workers’ compensation where they are easily visible to your employees. As you can see, there is more to operating a food truck than coming up with a good concept and putting in the hard work. You will need to get in touch with your local authorities to find out exactly what you need in your locale, but this list is a great place to start in negotiating the legal requirements to running a food truck.